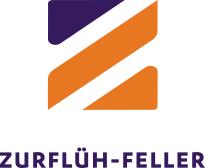 Zurflüh-Feller is now the French leader of components for roller shutter. 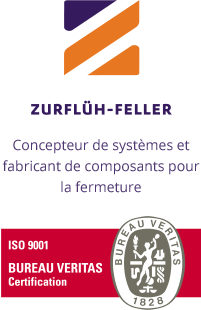 Designer and manufacturer of innovative components for roller shutters and rolling doors, ZF is the indispensable partner for fermeturiers, PVC carpenters, PVC process developers and aluminum engine manufacturers. Thanks to its strongly integrated production, ZF puts its industrial power and its high-technicity know-how to your service. The ZF commercial team is available in France and abroad in order to give you advices immediately. - A technical partnership since the advice until the co-development, including the customized trainings. Whatever your constraints are, ZF has an adapted solution for your conditions of pose and of fixation. 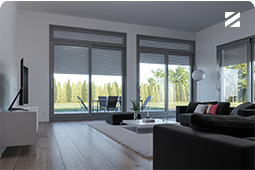 ZF can propose you assembled roller shutters when delivered and ready to pose with one choice of facilitating operating system. ZF gives you technical advices and customized trainings. The ZF research and development cluster proposes you an innovative collaboration with customized solutions. - A facilitated certification of your components. 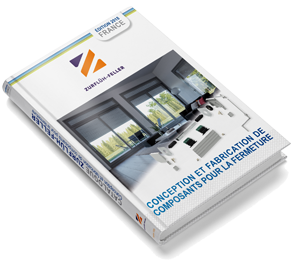 ZF guarantees you a complete implication and attention since the development until the commercialization of your product, including its conception. 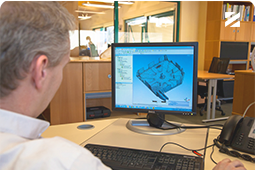 The ZF design office answers as well to your specific needs about the technical aspects of a product. 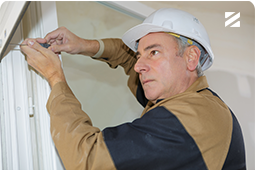 From the component for standard shutter to the customized solutions, including the finished and half-finished products, ZF provides each day the best of technology to the window shutter’s professionals. ZF does everything to allow the fermeturiers, PVC carpenters, PVC process developers and aluminum engine manufacturers to bring you the highest quality and efficiency of solutions of closure. Concerned about the ongoing support, we propose you to direct you to the closest ZF partner from you.